Parachute Literary Arts created the first Parachute Poetry Library in the YWCA Teen Empowerment Program inside Coney Island's Rachel Carson High School for Coastal Studies. Parachute was in residence there, leading a weekly writing workshop for teenage girls since 2011. In 2013, (after Superstorm Sandy) Parachute Literary Arts conducted a crowd-sourcing book drive, through Facebook, Twitter and word-of-mouth via our network of poets, for brand new poetry books. We noticed that not only did the high school's library lack poetry books reflecting the multicultural diversity of the students, but the high school lacked books, period. All in all, we counted two poetry books, both of which had pictures in them. The teenagers in the workshop really enjoyed reading and poetry, so why were there no books in their school’s library? The Parachute Poetry Library initiative received over 250 books from poets and independent small presses worldwide! Poets from as nearby as Red Hook and Crown Heights and as far away as Amman, Jordan and Madrid, Spain heard our call and sent their poetry books signed with a personal inscription for a teenage reader in Coney Island. Everyday, more boxes arrived at the high school. Small hand addressed boxes came from various parts of the country with handmade zines and chapbooks inside their yellow envelopes. Large boxes came from such independent presses as Wave Books in Seattle, Belladonna Collective in Brooklyn and Least Weasel in Massachusetts. 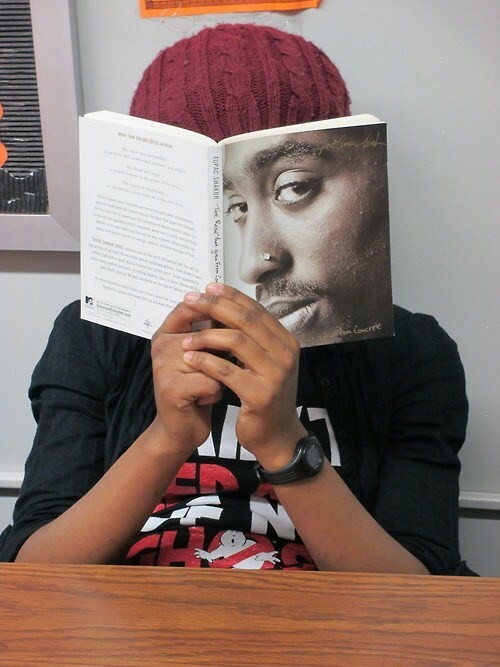 The teenage girls in the YWCA writing group enjoyed digging in, reading the notes and discovering new poetry voices. All of the books are new and donated directly by the book's author or publisher. A small selection of additional titles was curated by Parachute Literary Arts staff specifically for this library to reflect the rich multicultural and multilingual diversity of the Coney Island neighborhood. The library boasts titles in Spanish, Russian and English. It is now the only library in the entire school. After the success of the first Parachute Poetry Library in 2013, we went on to pursue a second Parachute Poetry Library in Coney Island's NYCHA's Surfside Gardens in 2014 with an accompanying 8 week teen workshop led by poet, Lynn Melnick (author of If I Should Say I Have Hope). Wave Books, Richard Hugo House, Least Weasel, Belladonna Collective, Best American Poetry and David Lehman, Tin House, Coconut Books, Pascale Lore Schyns, Matthea Harvey, Patricia Spears Jones, Lynn Melnick, New York Writers Coalition, Bloof Books (and innumerable individual authors who sent their book to the school). THANK YOU! YOU MAKE ALL THE DIFFERENCE! During the 2011-2013 academic year, Ms. Deutch recognized the lack of access to books in Rachel Carson High Schools’ library. In addition, the closest public Brooklyn library was still inoperable due to the effects of Hurricane Sandy. Ms. Deutch was determined to give students access to poetry books and began a campaign through her network of poets and writers. With their support, Parachute Literary Arts was able to establish a poetry library for not only the students in the YWCA of the City of New York, but also the entire school!